The Junior League of Greenwich is helping preschool children in Greenwich learn to read. 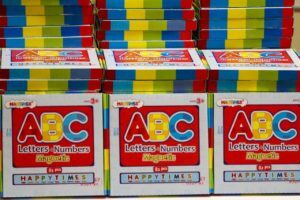 Throughout the month of September, the JLG has been collecting donations of books, magnetic letters/numbers, flashcards, white boards, dry erase markers, and other school supplies to promote literacy. 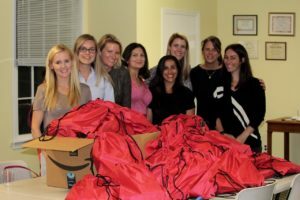 On Thursday, October 5 members gathered to compile the literacy kits and hear a literacy specialist from Julian Curtiss School, Caren Iannazza, speak about the impact these kits will have on the children. The Junior League worked with the Department of Human Services to identify preschool children in need and in total 85 kits will be distributed to Family Centers for Armstrong Court and the Archibald Center.